The aim of our education and childcare programs is to support our employees and help them begin a climb out of poverty that takes generations to achieve. Women who’ve never been to school may never learn to read and write fluently, but we can help fill in the most obvious gaps in their education with life skills they can use every day: They can learn to count money and do basic sums. They can learn to be savvier about their rights and their budgets. They can learn how the world works a bit, and how to stand up for themselves and make practical plans for the future. 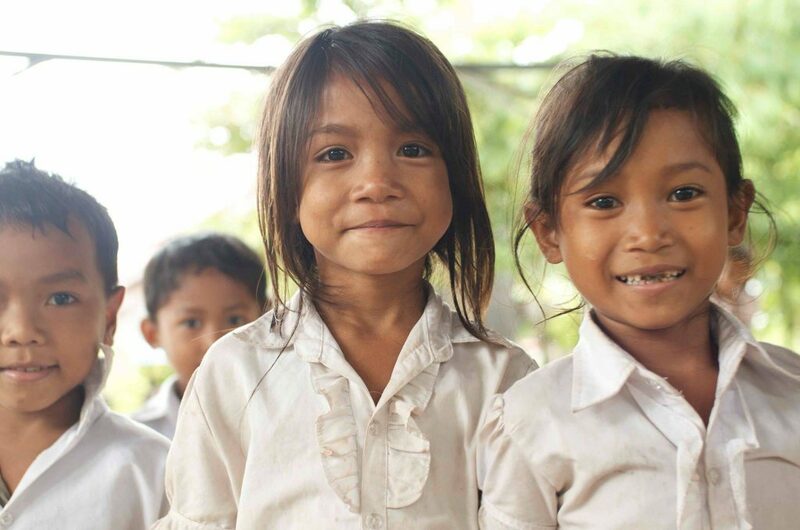 Most of all, they can send their children to school—including their daughters. Studies show that kids who attend preschool are more likely to progress well academically and are in less danger of dropping out of school later on. To date, over 1200 children have benefitted from SWDC’s education and child care programs, and we have supported 100 students per year through local schools. 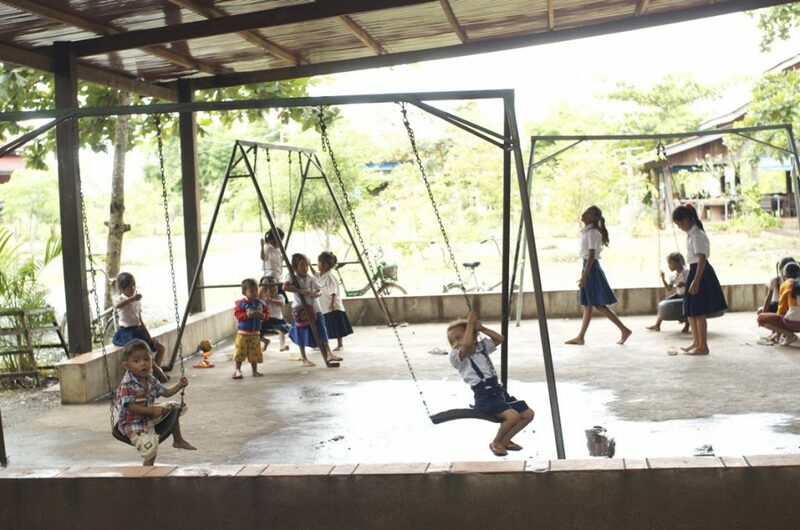 SWDC operates two kindergartens: one for Sre Po village kids and another on our campus. On the tranquil grounds of SWDC, you’ll see and hear children everywhere—the youngest napping in hammocks by their mothers’ spinning wheels, toddlers ambling among the looms, and pre-school kids swinging in the playground, chasing dogs and chickens, or learning songs with their kindergarten classmates. Both kindergartens offer a standard pre-school curriculum, including instruction in health care and nutrition, crafts and songs, creative free time and storytelling. Children receive two healthy meals a day and have access to a shower, and if a child gets sick, we can offer basic care or take them to a nearby hospital. Almost 1000 children have come through our child care program since 2002, giving their mothers the freedom to work without worrying about hungry children left at home, and offering a strong start to a child’s education. Experience has shown us time and time again that receiving quality early education – where the principles of learning, hygiene, and cooperation are emphasized significantly – increases the likelihood that the next generation will not perpetuate the cycle of poverty. Every child who graduates from our kindergartens automatically qualifies for our public-school sponsorship program. SWDC supports our employees’ school-age children (ages 5-15) and a number of village children who attend local public schools. Each student receives two kits each year containing textbooks, notebooks and paper, a school uniform, sandals, school fees, and a bicycle, if the child lives far from school. We also encourage academic excellence and reward children who receive high academic achievement. In 2016, SWDC sponsored 100 underprivileged students in Sre Po public schools, thanks to the generous funding of Pulsar International. At SWDC, we offer English lessons and introductory courses in computer literacy, including word processing software, spreadsheets, and the Internet. Our goal is to add skills to our employees’ repertoire, in case they choose to look for skilled work outside the center. We believe that every additional skill the women acquire is one more tool to help them break the cycle of poverty and become economically independent. 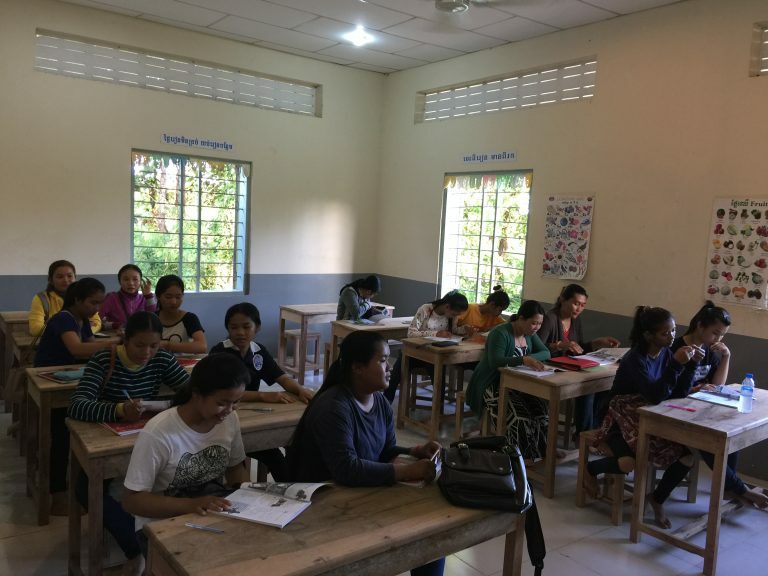 SWDC’s computer training lab and English language program provide free access to the poor and disadvantaged people in the Stung Treng community. We admit 200 students every year that includes about 80 women and 120 children. The program will develop soft skills for women to help them find jobs more easily both in the Stung Treng province or in the capital city of Cambodia, Phnom Penh.